What's New in Diabetes Research? The drive to discover new and innovative solutions for managing diabetes is international. The Diabetes UK Professional Conference, held in Glasgow in March 2016, presented many of these advances and developments, including new insights into diabulimia; the role of mindfulness in diabetes management; risk factors for Type 2 diabetes in the younger generations; and new discoveries in glucose monitoring and management. Through interviews conducted with the presenters of these topics, Dr. Nicola Davies explores the latest innovations in diabetes research. In this installment, we look at diabetes in youth. Type 2 diabetes was previously known as adult-onset diabetes. However, with an increase in diagnoses of people under 20 years old, this is no longer an adequate description. Early onset of Type 2 diabetes is becoming an increasing medical concern. Dr. Srikanth Bellary, senior lecturer in metabolic medicine at Aston University in Birmingham, England, is at the forefront of research on Type 2 diabetes and believes that while our understanding of risk factors has improved, we still have a lot to learn. Bellary explains, “We know that the risk factors [for developing Type 2 diabetes in youth] are essentially the same as in older age groups; that is, obesity, family history, a sedentary lifestyle, and ethnicity.” Some of these factors such as obesity are manifesting much earlier and in younger age groups than previously recorded. This therefore unmasks a predisposition to diabetes. There is some suggestion that puberty may also play a role in the development of Type 2 diabetes. Other risk factors such as maternal under- and over-nutrition during pregnancy may influence the development of Type 2 diabetes in adolescents, but more research is needed to clarify the impact of this factor. Despite the call for continued research, Bellary sees value in what we have already discovered. The knowledge we have gleaned thus far can be tailored to support two approaches. The first approach is that “those with these risk factors can be specifically targeted to modify some of the risk factors such as obesity and sedentary activity, as well as to carry out active screening for diabetes,” Bellary says. The second approach surrounds “interventions that target obesity in general at a population level.” Both approaches could be vital in reducing incidences of diabetes, as well as improving self-management practices. 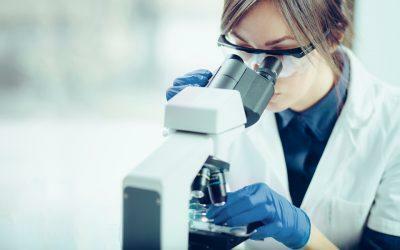 Researchers continue to develop new treatments to assist the almost 620 million people worldwide with various forms of diabetes. The Diabetes UK Professional Conference kept attendees abreast of current developments in the field. The sessions were invaluable for increasing awareness regarding troubling trends in the diabetes community or developing new methods or technologies to help people with diabetes manage and monitor their condition. The insights provided predict a future with greater public awareness of the risk of unhealthy lifestyles, a higher standard of care that can be provided by practitioners and a higher quality of life for people with diabetes. Nicola Davies is a health psychologist, counselor, and freelance writer who provides one-to-one self-management consultancy to people living with chronic conditions. You can follow her on Twitter (@healthpscyhuk) or sign up for her free blog at http://healthpsychologyconsultancy.wordpress.com.